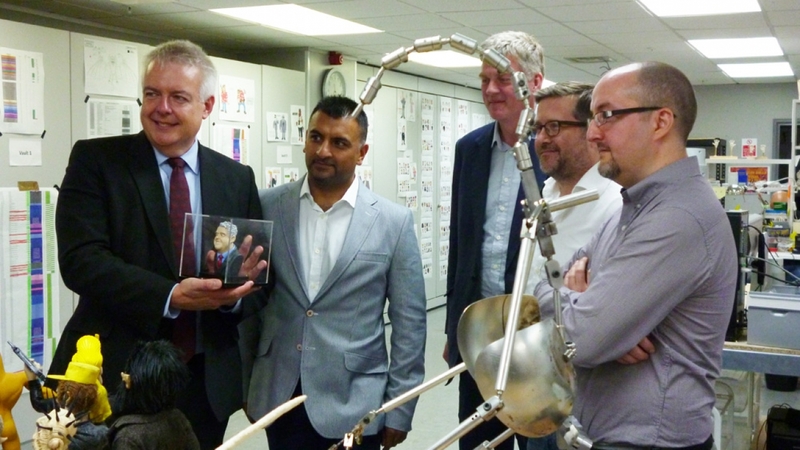 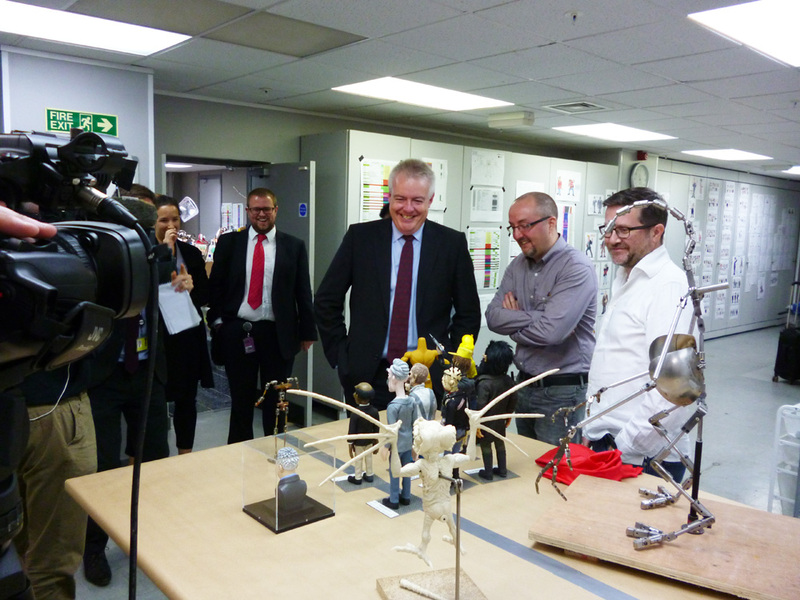 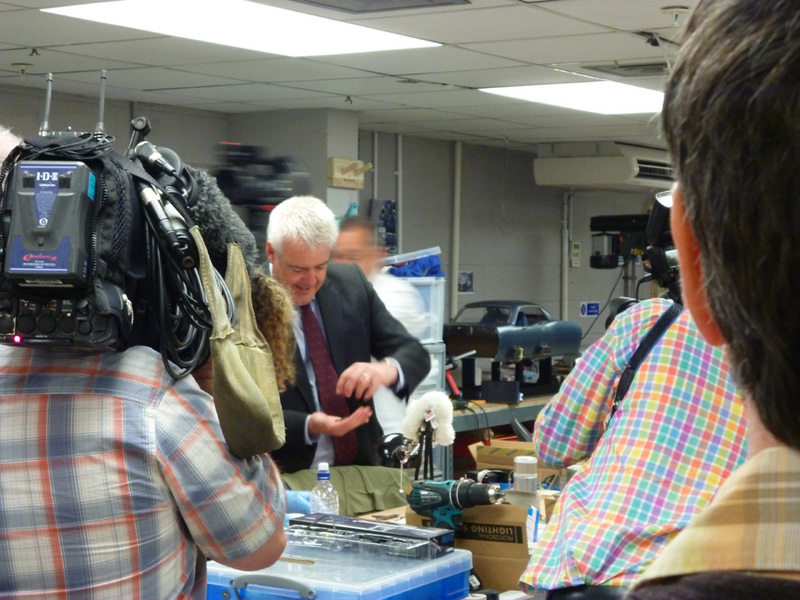 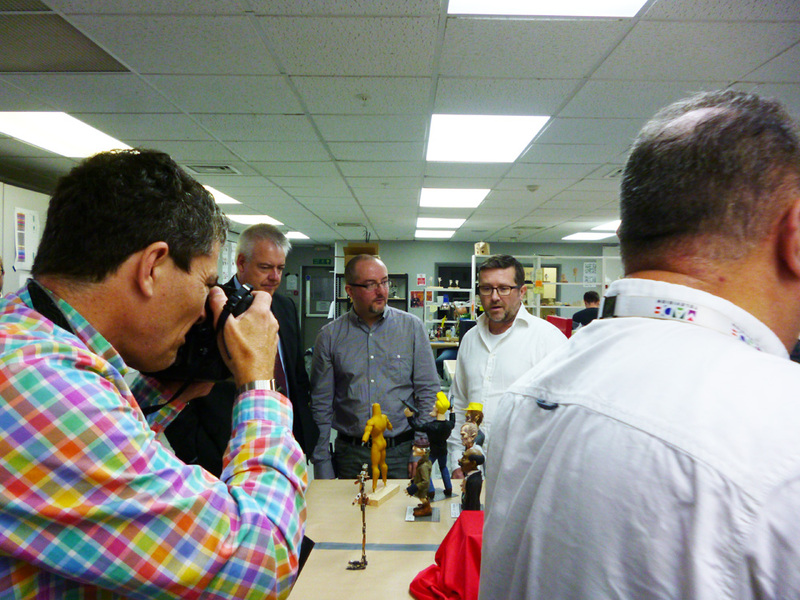 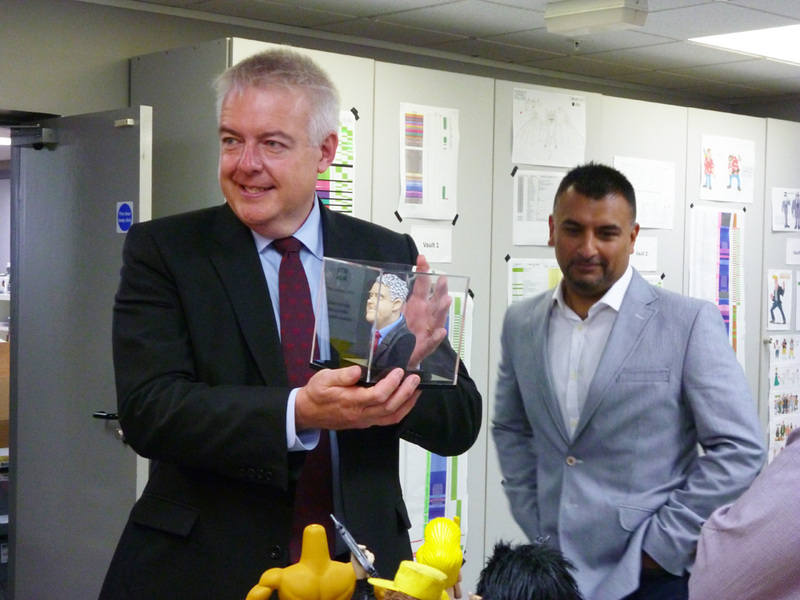 The sun was bright yesterday as Welsh First Minister Carwyn Jones visited Animortal Studio. 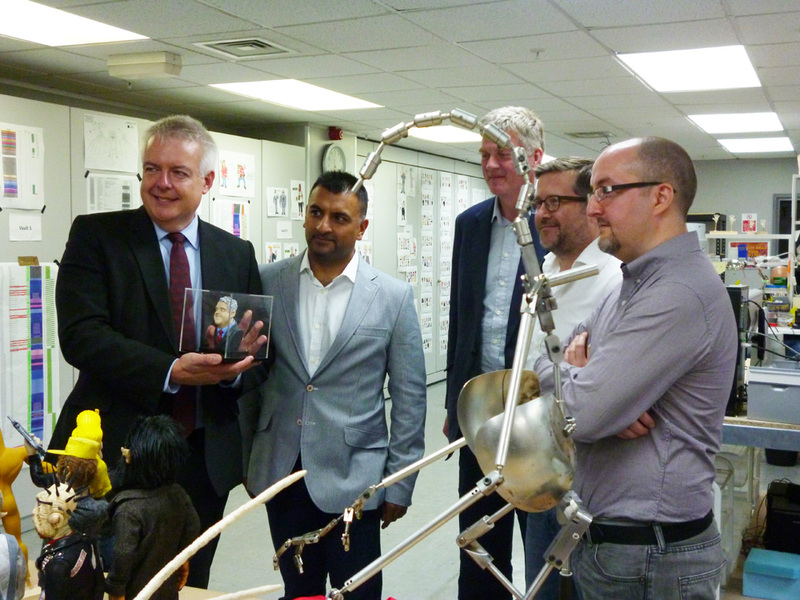 The Welsh government has been instrumental in enabling the set-up of Animortal Studio and helping get ‘Night of the Trampires’ in to production, with it’s support of the arts in Wales. 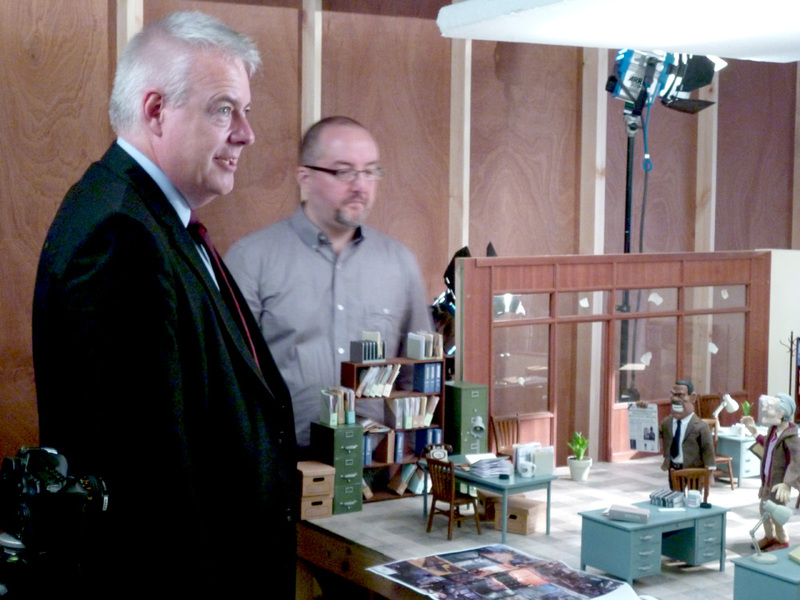 The First Minister, guided by ‘Night of the Trampires’ writer & director Mike Mort, and trailed by BBC & ITV news cameras, was treated to a tour of the studio, getting a glimpse at some of the sets on the floor, getting to view completed shots, meeting and greeting with members of the team, and even receiving his own bust in clay, created by the amazing puppets department right here at Animortal Studio.